Flaming glorybower is a woody or semi-woody evergreen vine or running shrub to 12 ft (3.7 m) long, that climbs by twining. The leaves are oval, to 7 in (18 cm) long, and arranged in opposite pairs. Flowers are salverform (which means tuba shaped) having a slender tube with an abruptly expanded corolla. This coarse-textured evergreen climber is popular in warm, humid climates and can be used as an evergreen screen on a trellis or wall. 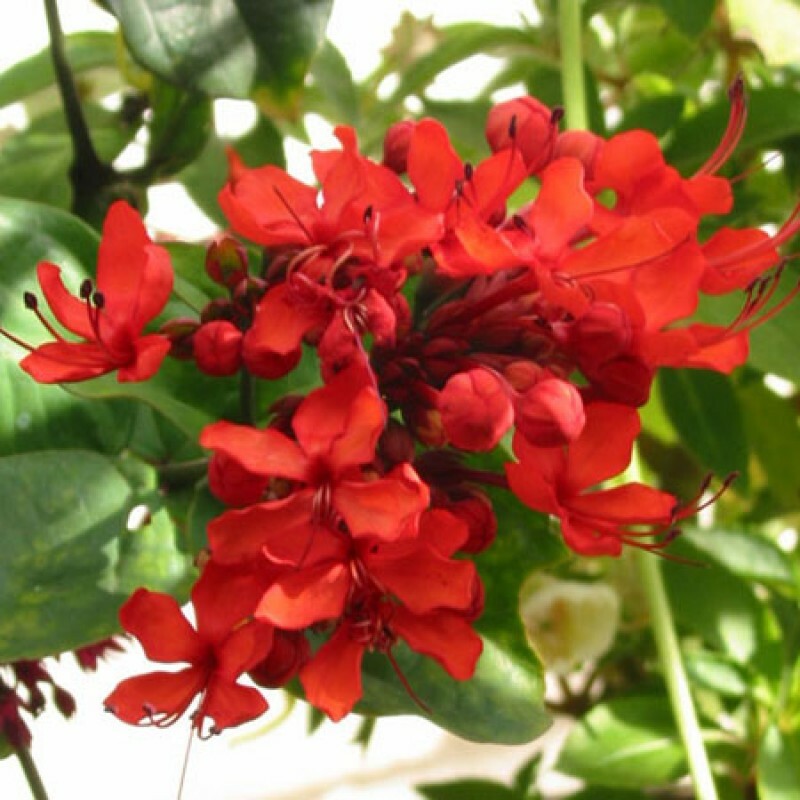 The flowers are extremely showy and attractive to butterflies as well as people. Encourage branching and more flowers by cutting back previous season's growth to a suitable pair of buds. Light: Full sun, but does best with some shade during the hottest part of the day in summer. Water: Water frequently in summer, sparingly in winter.